On THE SOPRANOS As Precipice Art | Birth.Movies.Death. Even at the very beginning of this, the Greatest Show Ever Made And It’s Not Even A Hard Decision, Tony is signaling the End of things – lamenting that where we’ve come from before has led to where we are. It is a principle as prevalent as any in the pop culture landscape of the late tens – the feeling that things aren’t going to get worse as time goes on, but that the end is coming, and we don’t have much to show for it. In this last year, we’ve had First Reformed, Private Life, Gaspar Noe’s Climax; not to mention shows that have carried The Sopranos’ mantle into today’s prestige television – Atlanta, The Good Place, Bojack Horseman – shows that share the same general nihilism about the doom-point we as a collective are rushing towards like a train off the rails. The Sopranos always got this – the spiritual death of its protagonist mirroring the falling empire around him as late capitalism rotted America’s institutions and, to a large degree, its people, from the inside out. The mood is not apocalyptic so much as it is pre-apocalyptic – the dread feeling of seeing the end coming ahead of you, and not knowing what’s going to happen when the screen hard cuts to black for the last time. As poet and essayist Patricia Lockwood cleverly put it on Twitter: "The Sopranos is early Costco-core, fruit bowl-wave, McMansion-gothic." This is to say, it is utterly dripping in the gaudy, joy-sucking excesses of late capitalism that have since become synonymous with this particular, looming doom. Throughout its run, the show soberly casts its eye over the mass of material things that Americans would draw into their wake to try and fill the void caused by the loss of communities capitalism engendered, from boats and cars to computers and ski trips. There is an air of the fake to this wealth and success, as there always has been to American New Money – much like the heavily made up but nevertheless tacky mob wives of Goodfellas, the materialism instilled not a sense of power or contentment in those who gained it, but of desperation, economic sadness, spiritual death. The Sopranos is the embodiment of the underbelly of this very American crisis – a McMansion gothic not only because the simulated luxury of the family home, but in the way it looked at America in general. Much like the America today, the show is steeped in the histories, legends and attitudes of those that came before it – so inescapably that these very histories become something like an antagonist to the characters’ spiritual and mental health. It’s no accident that, as young Christopher Moltisanti executes a Czech mobster in the pork store, we cut rapidly to the faces of iconic gangsters of films long past – Bogart, Cagney, and the like – as the influence of the mafia legends they starred in has, in a perverted way, led to this mass mutation of the mobster ideologies, and so to Chrissy’s loss of innocence. It’s the same when Tony laments ceding ground to "feelings" and moving away from the "Gary Cooper, strong silent type" that typified the tougher, allegedly better days of America’s rose-tinted past. 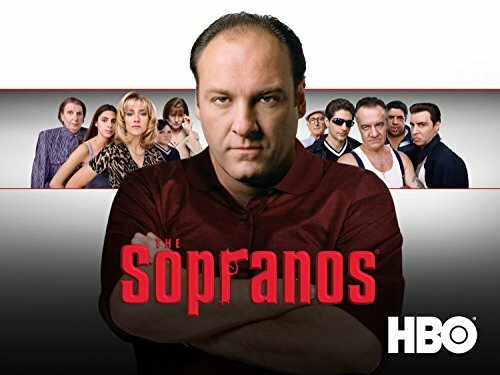 To watch The Sopranos is, at least somewhat, to watch a show that gazes forebodingly over the cliff after we’ve already driven off it. The show is undoubtedly a product of, and a response to, the Bush administration and the War On Terror, but it also bears the marks of warning for the current, still unfolding national catastrophe. Some elements of the show have remained in the Bush era – the surface level things like the technology and the fashion, but also perhaps the over-arching national fear of an Al Qaeda-specific kind of terrorism. Otherwise, perhaps unsurprisingly, the most influential prestige drama of our time seems ingrained into our pop culture and society at large, in often surprising ways. Its cultural and racial tensions remain – indeed, they are exacerbated from the early stages depicted in the show. The ongoing crisis of masculinity that was The Sopranos’ bread-and-butter has come to a head in nasty and frightening ways (one can only imagine Tony’s decrying of "snowflakes" like Christopher and AJ, were the show to take place today; while AJ would undoubtedly have found kindred spirits in the incel chatrooms). Most unmistakable in 2019 is this pervasive feeling of doom that pulses from the screen in every wintry, heavily-shadowed image the show produces as it chugs toward its final resting place. Especially as the show wore on, and the souls of the characters became so unimaginably lost (even a literal second chance at life couldn’t rescue Tony – the only one who ever could have been saved), the line between the existential fates of the characters and the prescribed existential fate of the country around them looked less and less like a line at all. 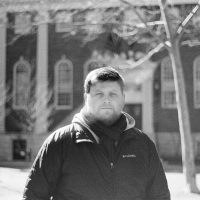 First Reformed asks "Can God forgive us for what we’ve done to this world?" The Sopranos looks at that same world and asks "Can God forgive us for what we’ve done to ourselves?" The Sopranos began twenty years ago, and has itself become caught up in the legend of the Great American Mobster, despite its continued desire to deconstruct and destroy that mythos. The show’s creators understood that the capitalist story of America rests within the souls of its criminals, and those that cheat or buck the system. In 2019, when the same kind of soul-dead cruelty is no longer subtle, but overt - in our governments and in the shared outlooks of some of its people – The Sopranos looks more and more like art looking over the ledge and telling us at the bottom "we told you so". There is no other show in history that so captured the dissonance between America the Legend and America the Reality, no other show that gazed so unsentimentally at the world around it and morphed it into high-art (with low-art body tattoos). It was a show that was Made In America. Tom Augustine is a filmmaker and reviewer who will gladly recite the entirety of The Lord of the Rings trilogy to you unprompted. Currently based in Auckland, New Zealand, Tom's heart remains in NYC, where he enjoys the way everything looks and sounds like movies he’d watch back home. Find him on Twitter at @tom_augustine. And it arrives next September.